CooksRecipes has quality, kitchen-tested recipes for turkey dishes, made with fresh turkey cuts, including cutlets, drumsticks and tenderloins, that you can count on for successful deliciousness. 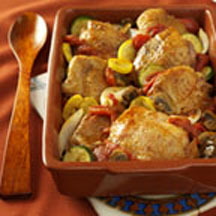 Turkey thighs slow-simmered in an Cajun-seasoned tomato sauce with sliced fresh mushrooms and served over rice. This is an elegant, but easy to prepare dish, that's sure to please your guests or family. 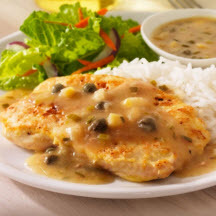 Breaded and pan-fried turkey cutlets are served with a rich rosemary flavored gravy. 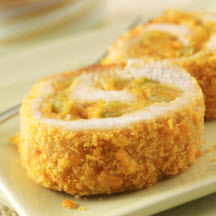 Festive turkey tenderloin rolls filled with a tasty mixture of crushed cheese-flavored crackers, mild green chiles and Jack cheese, with a crispy coating.